Church4EveryChild | Promoting meaningful connection between churches and families of kids with disabilities for the purpose of making disciples of Jesus Christ. Our Key Ministry team is wading into a very busy time of the year for ministry training. Last weekend, Sandra had the privilege of presenting at the Engage Conference in Fayetteville Arkansas, presented by our friends at 99Balloons. Both Sandra and myself were in Atlanta this past weekend for the Together Special Needs Ministry Conference, hosted by Mount Paran Church. I’ll be in Houston from the 22nd to the 24th of this month for a private church training event, and our team would love to see you at Inclusion Fusion Live on April 5th and 6th at Bay Presbyterian Church in suburban Cleveland. One of our teammates shared some interesting observations after reviewing our conference registrations. As of a little more than a week ago, attendees from twenty different states had already registered. Much to our surprise, the majority of our attendees are traveling from out of state. Beth Golik (our conference coordinator) has commented about the lengths to which some of our guests are going to be able to join us. While we’re thrilled that so many folks interested in disability ministry will be part of our conference, we know that for everyone attending there are probably ten more pastors, ministry leaders and family members who would like to come but lack the time and the travel budget to attend. Our team has a vision that every pastor, church staff member and volunteer ought to be able to access disability ministry training of the highest quality without having to travel further than a half-day drive from their home. What we need is something akin to the PGA or ATP tours, or the NASCAR circuit…regularly scheduled events held in each region of the country in which ministry leaders and trainers from all of our different organizations come together to share their gifts, talents and knowledge for the benefit of all who serve in that geographic area. What would need to happen for this type of vision to come together? Disability ministry organizations with a national scope would need to come together to embrace the vision. The national organizations could come together to provide trainers for and pool their communication tools and social media platforms to help promote the regional conferences. Local organizers would provide a physical location and volunteer resources for a conference, manage registration and regional promotion and secure modestly priced hotel accommodations for attendees staying overnight. They could reach out to the national organizations for speakers who could train on topics of interest to ministry leaders throughout their region and supplement their presence through providing teaching opportunities for up and coming ministry leaders. More and more regional disability ministry networks are coming together as churches are seeking to collaborate with one another to better support families and make the best possible use of limited resources. I was very impressed during my trip to Atlanta by the stories of how large churches are cooperating with one another offer the families they serve a wider selection of services and supports. Hosting a conference might be a great way for like-minded churches to promote the expansion of disability ministry throughout their regions. How do we make such a conference circuit a reality? If you’re a disability ministry leader with an interest in hosting a conference in a region where this type of training is unavailable, feel free to reach out to us. One we get through with Inclusion Fusion Live, our team would be happy to speak more with you regarding our experience with putting on an event for several hundred persons. If your church or regional organization is led to move forward, we’d be delighted to help connect you with other like-minded ministries to help fill out your program and promote your event. The photo above was taken yesterday at Mount Paran’s Together Conference. They started their church’s special needs ministry six years ago. I found ten or fifteen attendees wandering around outside confused as to where to go when I arrived because the conference had become so large since last year that it was necessary to move the event into the church’s Great Hall. There were several hundred people there! That’s the impact their church has had in a relatively short time. Pastors and ministry leaders are clearly hungry for help in starting new ministries or growing existing ministries. What can we do to make it easier for them to get the help they need? Consider joining us in Cleveland on April 5th and 6th for Inclusion Fusion Live. Christ- followers from around the country are coming together to be encouraged and equipped to better serve families affected by disability who attend their churches. IFL is for ministry leaders, families, and persons serving in disability care fields. All-day intensives are offered on starting a special needs ministry and developing a mental health inclusion strategy. Options to bring an entire church team or sponsor families from your congregation are available. Click here for easy registration. One of the churches that financially supports our ministry reached out to us this past week with an interesting request. They asked us to share with them areas of gratitude and praise with the intent of compiling a list of blessings that will be distributed to the congregation for members to use when they gather around their Thanksgiving tables in a couple of weeks. I was assigned the task of putting together a list of our reasons for praise as a ministry. It was encouraging – and energizing to reflect upon all of the ways that God has been at work in extending his love to families affected by disabilities. The group we lead on Facebook for Special Needs and Disability Ministry leaders is serving over 1,400 members as of the beginning of November. 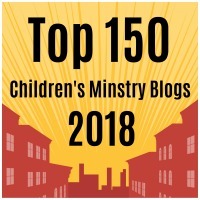 Our blog is the eighth ranked Children’s Ministry blog in the world – and second-most shared through social media. We’ve received 139 requests for ministry training or consultation since January 1 – more than double the number of requests we received just three years ago. That figure doesn’t include the 45 requests we’ve received for training or consultation for mental health inclusion since April. The volume of requests has more than doubled in comparison to the similar period last year. We hosted approximately 250 disability ministry leaders and family members from coast to coast for Inclusion Fusion Live disability ministry conference this past April. In addition to those in attendance, video of the conference shared through Facebook Live has received over 44,000 views to date. Our team had the opportunity to train at a very similar conference in suburban Kansas City this past October 25th and 26th. On the subject of training, we’ve continued to host our monthly Disability Ministry Video Roundtables, available to any interested ministry leader. We developed a series of instructional videos on mental health inclusion ministry. Usage of our video training (not including Inclusion Fusion Live) is up 315% over our total for all of last year. 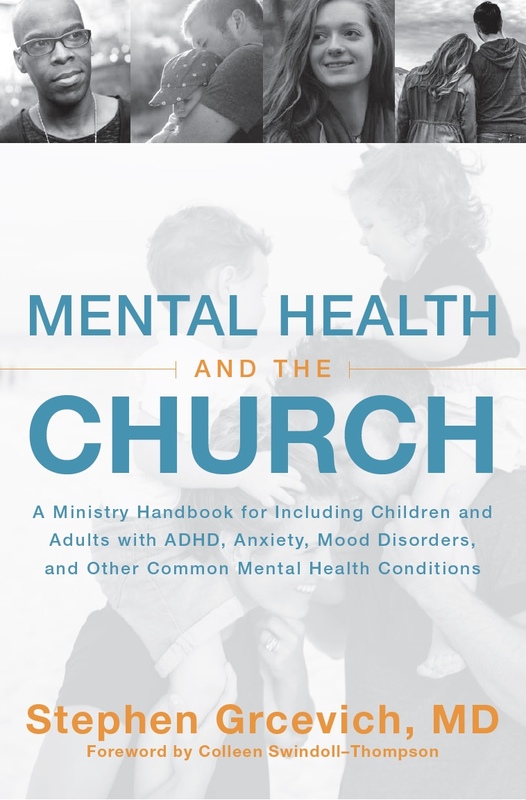 Mental Health and the Church, our book that presents a model for mental health inclusion ministry, has been extremely well-received and has opened doors for training and collaboration with other ministries. We had an opportunity to participate in the 2018 Evangelicals for Life Conference, sponsored by the Ethics and Religious Liberty Commission of the Southern Baptist Convention and develop resources related to mental health inclusion for the ERLC’s website. We serve churches large and small. One of the neatest praise reports we have to share came about when I had the opportunity to preach at a modest-sized Methodist church in Central Ohio. A church staff member announced that four members had come forward after the first service to volunteer for their disability ministry/mental health inclusion team! We’re grateful for the opportunity to do training by video on mental health inclusion for from Asbury Theological Seminary in Kentucky. We launched an additional platform this past Spring on the Patheos website to provide encouragement and support to families of children with special needs. That platform alone was accessed over 9,500 times in September, the last full month for which we have data. That’s in addition to the 3.36 million views we’ve had of our blogs and website to date. We have over 11,000 people subscribed to our e-mail lists (including over 4,800 subscribers to our blog via e-mail), over 13,000 followers on our main Facebook page, and over 17,000 on our Facebook page for families. Above all, we’re grateful to be part of a movement of God that’s so visibly transforming the ways in which churches minister with families affected by disability. At the same time, we recognize the need for prayer as we seek to be faithful to our mission in the coming months. Inclusion Fusion Live 2019: We’re in the planning process for next year’s conference and beginning to receive submissions from potential presenters. We’ve also received a commitment from a keynote speaker who we believe will help us attract more ministry leaders and families. More on that later. Prayers are appreciated for a conference that will draw more leaders from more churches interested in starting or expanding their disability ministries, promote new collaborations between existing ministries and offer up and coming leaders in the field the opportunity to be noticed and network. Mental Health Ministry Roundtable: We’re going to be launching a roundtable for churches interested in mental health inclusion in 2019. Catherine Boyle will be leading the first roundtable on Wednesday, November 14th. Free registration is available here. Pray that the roundtable will be a catalyst for more churches to become more intentional in their efforts to include families affected by mental illness. Unexpected Blessings: Sandra from our team has a new book scheduled for release on November 20th to help special-needs families move past the pain and confusion of their circumstances and slowly, firmly face the future with hope. We’d hope that her book would find its way into the hands of thousands of people who would be encouraged by her wisdom, stories and experiences. Sufficient financial support: Spending has significantly exceeded our donations to this point in the year. We’re looking at the prospect of significant cuts in next year’s budget that will greatly impact the scope of our ministry. Two of our five core staff members (myself included) volunteer their services, and our total expenses for this year will be approximately $75,000. We don’t have much to cut. We’d appreciate prayers that we’ll have the resources to be able to conduct and expand our ministry in the year ahead. If you or your church would be willing to provide monthly support or a one time gift to support our work, your donation will be much appreciated and will be put to good use. Here’s a transcript of Dr. Grcevich’s teaching from the Sunday worship services at Fredericktown United Methodist Church in Fredericktown, Ohio, October 21st, 2018. Thanks to Mary and Pastor Hasley for their gracious invitation for me to join you today! It’s probably safe to say that prior to today, the prospect of a child and adolescent psychiatrist teaching at your Sunday morning worship service was only slightly less bizarre than the thought of rearranging your work schedule to attend a victory parade in Downtown Cleveland in early February on the Wednesday after the Super Bowl. Allow me to explain a little of how God arranged for our paths to cross today. Twenty years ago, a number of well-established families from our church adopted kids with very complex emotional, behavioral and developmental issues from orphanages in Russia and Bulgaria. I was at an elder meeting where our children’s ministry director spoke of the steps the staff was taking to help the families affected stay connected with church. None of the kids being served had obvious, outward signs of disability, but the severity of their behavior had become a major obstacle to their families in maintaining their involvement with the church. I went back to my practice and found that many of the families of kids we were treating at that time were also experiencing significant limitations in their ability to maintain an active role in their churches. This really bothered me. Over the next few years, God opened lots of doors for me. I was involved with research that provided me the opportunity to travel widely. Wherever I went, I talked about the work our church back home was doing…and our church started getting LOTS of requests for help and support. As more and more folks recognized the need to help connect churches with families of kids with what we referred to as “hidden disabilities”, Key Ministry was launched sixteen years ago. We provide training, consultation, resources and support to churches and lots of encouragement and support to families of kids with a full range of disabilities. Over 17,000 parents follow our blogs and family support sites through Facebook, and we’re responsible for an online forum serving approximately 1,400 pastors and church leaders involved with every aspect of disability ministry. We’ll be hosting a large conference in Cleveland this coming April 5th and 6th, Inclusion Fusion Live for disability ministry leaders and families affected by disability from across the country. I’d be thrilled if a large contingent from your church would come. Leaders from your church have been involved with a study of a book our ministry authored – Mental Health and the Church. The book presents a ministry model for churches seeking to become more intentional about welcoming children, teens and adults with common mental health conditions and their families. I don’t see our role as the church as being the place folks turn to for a cure for their mental health conditions so much as that this church, and churches like yours everywhere would be places where we can help our friends and neighbors who are struggling to find friendship, encouragement and support while they come to know and experience Jesus. What I sense God wants me to do today is to help those of you who have struggled personally as a result of a mental health condition… anxiety, depression, ADHD, a mood disorder, an eating disorder or some other condition to consider God’s purposes in allowing you or a loved one to experience that condition. For the rest of you without personal experience of mental illness, I’m going to challenge you to consider how God may want to use you to share his love and his Gospel with individuals and families who are affected by a mental health condition. In the First Century, the natural assumption of the typical Jewish person upon encountering someone with a significant disability would be that their disability was a direct consequence of personal sin. There are many Old Testament passages…and a couple of New Testament passages as well that can be easily interpreted to support that line of thinking. In that way, the attitudes and responses of many Christians in the 21st Century to persons with mental health conditions are strikingly similar to those of the residents of Jerusalem in Jesus’ time. We as a church have a problem when it comes to mental illness. In 2018 it’s still very common in many Christian traditions for pastors and other church leaders to default to the assumption assume that mental illness is a direct result of personal sin. While there are situations in which mental health issues arise as a consequence of behavior the Bible labels as sinful – for example, it’s not uncommon for me to see teens in my practice become depressed or develop suicidal thinking or behavior after violating Biblical limits on sexual behavior – we need to be VERY careful before assuming that someone’s mental health struggles are a result of sinful behavior. We’re also pretty inept at supporting our brothers and sisters in Christ with the encouragement and support they need when they experience a mental health condition that causes them to question the depth of their faith. I’ve found the Christian who finds himself or herself unable to pray away their depression or the person who concludes that their anxiety is a direct consequence of the insufficiency of their trust in God often experience a sense of pain and despair far beyond that of the non-believers who experience similar conditions. We know that statistically speaking, many persons suffering from common mental health conditions turn first to their pastors and to their churches in search of help. Dr. Matthew Stanford of Baylor University published a study demonstrating that for too many individuals, those experiences become more of a hindrance than a help. 30% of attendees who sought help from their church for themselves or a family member because of a mental health condition reported negative interactions counterproductive to treatment. Many people – especially women are told they don’t have a mental health disorder or discouraged from taking medication prescribed for their mental health condition. Study participants described feeling abandoned by their churches. One in seven said their faith was weaker after approaching their church. One in eight quit attending church completely! When it comes to kids and mental health, we’re often quick to assume that kids who struggle to control their emotions or behavior have parents who lack the dedication or commitment to discipline their children appropriately. One of the saddest stories I’ve ever heard in my thirty-odd years of practice involved a family who came from out of state after their primary care physician paid their travel expenses. The parents had recently adopted a five-year-old boy with severe ADHD and an extensive trauma history. The father was fired from his job as the senior pastor of their church after their newly adopted son punched the son of an elder and the church’s board concluded the child’s behavior disqualified the pastor for his role. We know that many persons with anxiety are predisposed to greatly overestimate the risks of entering into new or unfamiliar situations. One in fifteen adults experience Social Anxiety Disorder, a condition characterized by persistent fear of embarrassing and humiliating themselves in social situations in which they are exposed to unfamiliar people or to possible scrutiny by others. Think about all the challenges that a mother of a child with an anxiety disorder who herself experiences social anxiety might encounter if they decide to come here to church for the first time some Sunday morning! There are other barriers that individuals and families with mental illness are likely to face in attending church. We’ve already touched on stigma. Social communication can be a struggle for many. Churches are intensely social places. Someone with a condition that causes them to struggle to process body language as well as voice tone and inflection is at a distinct disadvantage. The level of sensory stimulation may be overwhelming for some persons with common mental health conditions. Mental illness produces social isolation. Some people isolate themselves as a result of their condition. Persons with depression may fall away from church, Bible study or small groups. Families of kids with serious emotional or behavioral disturbances may not have relationships with other families to invite them to church. Mental illness runs in families. If a parent can’t attend church as a result of mental illness, all of their kids will likely miss out on the experience of church. The likelihood a young adult will be a regular church attender if they don’t attend regularly as a teenager is 3% If we don’t act to include children and adults with mental health issues at church, multiple generations will likely be lost! I hope that we can all agree that this is not part of God’s plan. Scripture is clear that God’s intent is for all to be saved and for all to be part of a local gathering of believers. Scripture is also clear that everyone is given gifts from God intended for the benefit of the church as a whole. When anyone with gifts intended for the body is excluded, the church is less than God created it to be. So…what is God’s purpose in allowing mental illness, and why might God choose not to affirmatively respond to the sincere prayers of someone who is hurting and in need of healing? God uses the discomfort and distress associated with our experience of mental illness to draw us into a closer relationship with him. Rhett Smith is a pastor and counselor who wrote a book titled – The Anxious Christian: Can God Use Your Anxiety for Good? The central hypothesis of the book is that if our anxiety becomes an impetus for us to turn to God, to deepen our relationship with God or to become more dependent upon God, then God’s purposes are fulfilled. Go back through Scripture and take a look at what godly people do in response to the distress. In Psalm 102, the psalmist (possibly David) cries out to God when afflicted with symptoms consistent with depression. When the Prophet Elijah was filled with fear, fleeing from Jezebel after destroying the prophets of Baal, he turned to God in prayer (1 Kings 19) and God responded by comforting him and ushering him into an extended time of communion in preparation for the next phase of his ministry. What did Jesus do in his greatest moments of distress? He turned to his father in prayer! If God valued being in relationship with each of us so much that sent his son to suffer horribly and to die to make that relationship possible, God’s likely to place a greater priority upon that relationship than upon our immediate comfort. If our experience of mental illness or our experience of a loved one with mental illness drives us into a deeper relationship with God, that’s a good thing from God’s perspective. God may use the experience of mental illness to cultivate within us a greater awareness of his sovereignty and an ability to manifest contentment in the midst of our distress that presents an unmistakable witness to his power and character. John Piper has said that God is most glorified in us when we are most satisfied in him. Is it possible that God may choose not to relieve our suffering associated with mental illness because our ability to demonstrate contentment and joy in the face of suffering is when the works of God are most on display in us? Paul was writing this letter to the church at Philippi while he was under house arrest, most likely chained to a Roman soldier. The theme that runs throughout the entire letter is Paul’s overwhelming sense of contentment in the knowledge that God was in control of his circumstances. This was written by the same guy who five to seven years before when he was writing to the Corinthians spoke of burdens so severe that he “despaired of life itself.” Paul never promises that the anxiety described in Philippians 4 will be taken away. What he is promising through our prayers is the sense of peace that comes from the recognition that God is in control of all things and submitting to his will. Blessed be the God and Father of our Lord Jesus Christ, the Father of mercies and God of all comfort, 4who comforts us in all our affliction, so that we may be able to comfort those who are in any affliction, with the comfort with which we ourselves are comforted by God. For as we share abundantly in Christ’s sufferings, so through Christ we share abundantly in comfort too. [a] If we are afflicted, it is for your comfort and salvation; and if we are comforted, it is for your comfort, which you experience when you patiently endure the same sufferings that we suffer. Our hope for you is unshaken, for we know that as you share in our sufferings, you will also share in our comfort. I had an opportunity last month to meet Kay Warren for the first time. Talk about a family with a devastating experience! I can’t imagine the pain Kay and Rick experienced after losing their young adult son Matthew to suicide after many years of therapy and multiple hospitalizations for mental health concerns. But God has seen fit to use them to launch a mental health ministry through Saddleback Church with the potential to impact untold numbers of families affected by mental illness. Almost everyone I know in mental health ministry has had some personal or family experience with mental illness that guides and shapes the ministry they offer to others. Finally, is it possible that God might be using mental health concerns as an instrument for bringing about the salvation of those affected? What if God plans to use someone’s mental health condition…or the condition of a loved one as the means of connecting them with individuals and churches positioned to introduce them to the Gospel? What might that mean for your church? It might mean developing an overarching strategy for welcoming and including individuals and families affected by mental illness into all of your church’s ministries. It might mean considering how the new spaces for ministry being created through your construction project might be sensory-friendly. Sensory processing differences are common in persons with anxiety disorders and ADHD in addition to being an issue for many persons with autism. It will likely lead to a plan to include them in your small groups, and to ensure there are small group leaders trained to disciple and support them. It will involve giving folks permission to talk about mental illness…and letting families affected by mental illness in the surrounding community know they’re welcome here. You’re off to a great start by inviting me! In the study referenced earlier from Lifeway Research and Focus on the Family, the most frequently expressed desire of church members with mental illness and their family members was to hear their pastors preach more frequently on mental health-related concerns. Taking a casserole to a family when their child or their mother or father is admitted to a psychiatric hospital. Having different couples in your small group take turns providing in home respite care and support to a family of a child with serious emotional or behavioral challenges who can’t find babysitters or appropriate child care so that the parents might enjoy an evening out or some quiet time together…or supporting families serving in foster care or families who have adopted children who struggle with emotions or self-control in the aftermath of significant trauma or neglect. Maintaining an up to date list of mental health service providers to families in need or providing short-term financial assistance to individuals and families unable to access mental health care. Offering someone who understands education law to attend school meetings with parents of children with mental health conditions to help them get the necessary accommodations and supports necessary to learn to their level of ability. It may mean that your church begins to host educational or support groups for individuals and families in your area affected by mental illness. We work with a couple of awesome ministries…Mental Health Grace Alliance and Fresh Hope – that offer a variety of group models for churches seeking to care for and support persons in their communities with common mental health conditions or past experiences of trauma. It may mean someone in your church volunteers to serve as a mental health liaison… a point person for including an individual or family into the life of the church who needs a little extra help in joining activities designed to help them grow in faith. It also means that many of you are going to need to step up and embrace a role in ministry with persons with mental illness. Your pastor and church staff likely have more on their plates already than they can reasonably be expected to handle. Are you ready to “be the church” as opposed to being someone who goes to church? Let me ask you some uncomfortable questions! It’s what I do at my “day” job. How important is your faith in Jesus to you? Important enough for you to NEED to share it with someone else? How important has your church been in helping you to come to faith and grow in your faith? Important enough that you want other people you know…friends, neighbors, people you know from work or school, extended family – to have a similar experience? Important enough that you’re prepared to take seriously the Great Commission to go and make disciples? To not be content with simply putting your tithe or offering in the collection plate and paying the staff of your church, or supporting some individuals or ministries to do it? So, if your relationship with Jesus is important enough to you that you want others to experience the peace, comfort and joy that you have experienced, how might you allow God to use you so that the works of God might be displayed through you – and through the people who come to experience Christ through you? Consider who God has placed in your life who is affected by mental illness who needs to know Jesus and needs the care and support of a loving church family. Consider how you might help them to experience the love of Christ. Consider how you might welcome them into the ministries of your church. Most children and adults with common mental health conditions can participate in most activities at church if they’re accompanied by a trusted person to help them know what to expect and help them to fit in without drawing attention to themselves. Invite them to church. Make introductions. Be their friend in youth group. Offer to babysit their kid when you know their child is too much for the typical teenager to handle. Take them a casserole when their child gets admitted to the hospital or when they’re busy transporting a family member to outpatient treatment several days a week. Who do you know who is affected by mental illness and doesn’t yet know Jesus? Here’s my challenge to you. Reach out to at least one person or one family this week and invite them to church or do something for them as a tangible expression of Jesus’ love. Small things done with great love will change the world. And allow the works of God to be placed on display! If you’d like to learn more about our ministry, or if you know of churches and families who might benefit from what we offer, please, don’t be strangers and check us out! Can I close by praying for you guys and for your church?